Whether it be tartan, tweed or something classic. 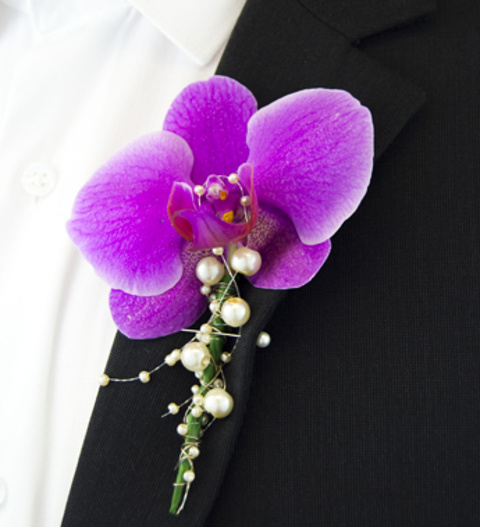 The Phalaenopsis orchid Boutonniere set against variegated foliage would suit any occasion. Matching corsage also available. Matching corsage is also available.